I just got back from a much needed vacation! We left super early Sunday morning, our flight left at 6 in the morning, and we were off to LA! We started off our first day in the city at the Proud Bird Food Bazaar. Then we checked into our Air BnB. It was super nice and basically across the street from the Staples Center, definitely a great pick for my first time using it. Then we went to the Griffith Observatory and took tons of pictures. My pictures are terrible but here is a decent picture of me at the top. Los Angeles was so beautiful and it was so nice to pretend like I was in La La Land. Then we headed to Leo’s Taco Truck for some tacos and I over did it with an order of 6 tacos (they were only $1.25 so it was okay). 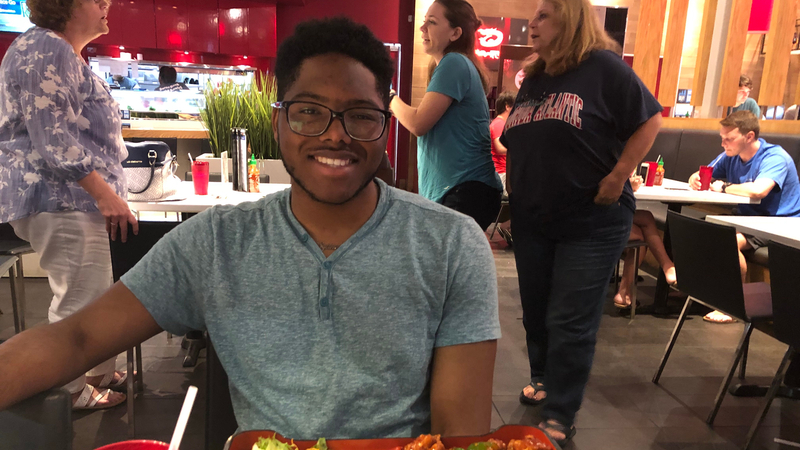 I got 2 Al Pastor, 2 Carne Asada, 1 pollo, 1 carnitas tacos and I was able to customize my tacos with cilantro, Pico de Gallo, onion, and varied salsas. It was great to hang with my friends and let loose that first day for sure. We tried to sleep a little bit, we were all exhausted from the night before. Then we went to eat at Little Dom’s where I got this awesomely delicious French Toast Soufflé! Then it was off to Beverly Hills & Rodeo Drive where I started adding things to my Christmas wishlist. That lead to shopping at the Grove because the rain was about to come. This is where I got a frozen S’more and a cookie shot from Dominique Ansel Bakery. We ended the day at Roscoes Chicken and Waffles, which was absolutely delicious & then walked to the Hollywood Walk of Fame. I tried it take a picture of the Destiny’s Child star but it was underneath some promotional set up for the American Idol reboot (cue Beyhive tears). Made it to Beverly Hills! This was basically a museum day. We hit up the Grammy Museum that was within walking distance of our Air BnB. Then we headed to the Los Angeles County Museum of Art, which happened to be a free day which was just our luck. I found this dessert spot called Cream and got a delicious ice cream sandwich mad for a cross between a croissant & a donut. This was also the night we tried In-N-Out and I was not amused. I wasn’t the most impressed with the food. We started the day at Homestate for breakfast tacos! This spot was on Worth It (my favorite thing on Buzzfeed) so I was super excited when my friend put it on the itinerary. It was the day I went for my first hike, like ever in life. The hike was actually super fun and I got an amazing view of the city. Then we headed to the beach at Santa Monica Pier. It was so fun but super cold out. However it was great to feel like Lily in the Hannah Montana movie. It was our day to leave, which was the worst feeling ever. After checking out of our Air BnB we headed to Grand Central Market for food, where I tried my first Papusa, it was delicious guys! Then we walked around Universal City Walk for a bit before going back to Roscoe’s. Then it was time to head the the airport, but while I was there I got a burger from the Habit for during my flight. It was recommended to me by a friend from California (she said it was better than In-N-Out and she was super right). All in all this food tour with few tourist stops was awesome and I had an amazing time with my friends! Are you still in college? Where are you going for Spring Break? And if not what’s your favorite Spring Break memory? Every thing looks awesome I love L.A. it’s beautiful! Sounds like you had a lovely time here in LA. I’ve lived here for a little over two years and I still haven’t been to the Grammy Museum or LACMA. I have, however, been to HomeState because I am originally from Texas and they have wonderful Tex Mex. I love L.A. and have been quite a few times but I’ve only done one or two things that you did lol After reading your post, I have a few more things to add to my must do list the next time I’m there! What a great trip! I love LA, there is always so much to do, and great dining everywhere! Love Roscoes! I’ve never been to LA, but have been trying to get there. My plan is to go for my birthday in August. Looks like you had an amazing time. It’s on my bucket list to do a trip like this! Seems reasonable to do and a ton of fun! Looks like you had a fun trip. Your food looked so yummy! Lol Also, I loved the pictures that you shared on your post. I can’t wait to visit Cali. Right now, I’m not in school but hopefully I can visit Cali for the summer. awesome pictures! im going to be in la for a couple of days soon! never have been! Oh how fun, I’d love to visit Hollywood sometime. I have lived here a little over 4 years now and I’ve never tried Habit! Glad you had a great time!! Seems like you had a lot of fun! As a Californian I guess I am used to everything haha. I love the Santa Monica pier. I hope my recap can help you plan your trip! I hope whenever you get there you have an amazing time! Haven’t been to LA before, but it’s definitely on the list. Thanks for the food and to-do recs! I have never been (except for the airport) and want to make a trip in the next few years! Thanks for sharing your experiences! It looks like it was a lot of fun! Oh it sounds positively dreamy! I’m so happy you had this trip! Thank you for sharing it! May you have many more and share them with us! Lol I’m here to help! Because who doesn’t like to eat? 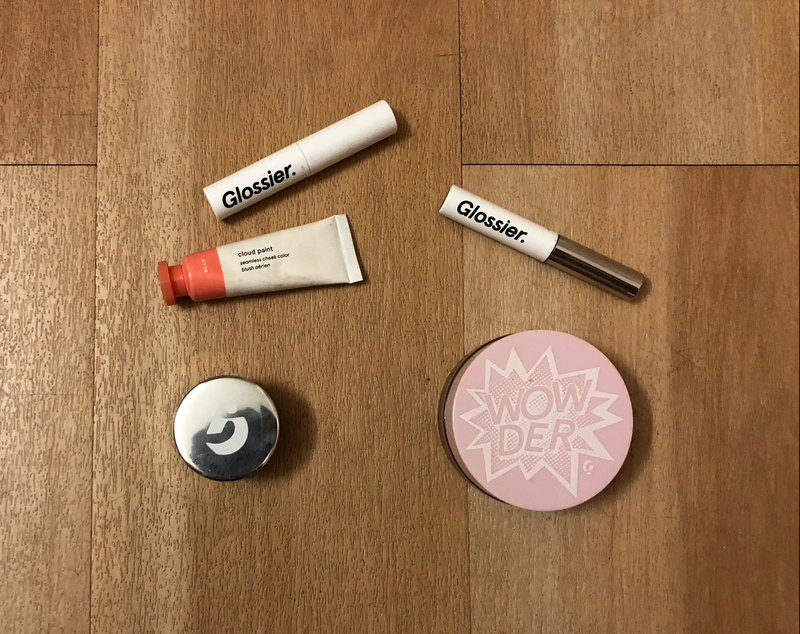 Next post Glossier: Is It Worth It?